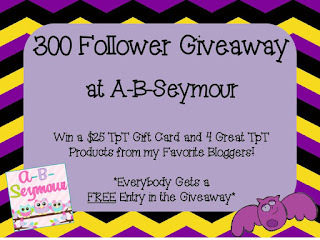 A - B - Seymour: I've Been Boo'd and 300 Follower Giveaway! Teresa at 2nd Grade Pig Pen Boo'd me! That sounds kinda strange to say, but it's a good thing....really! Thanks, Teresa! Cynthia at 2nd Grade Pad started a Boo'd linky. Click on the picture to go read more about it. Here's how you play...Choose a blog that has more followers than you, around the same number of followers, and less followers than you and encourage others to go check out their blogs and stores. You can share the love by offering them one free item from your TpT store! 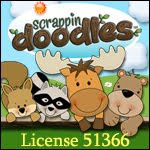 Abby at The Inspired Apple is so creative and fun to blog stalk! 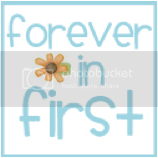 Tammy at Forever in First always blogs about her great ideas! Nicole at Speech Peeps is the Speech Therapist at my school. She is new to blogging and TpT and she is so creative! Go check out her cute blog with lots of freebies for teachers. My 300 follower giveaway is over in a few hours! Make sure you click on this picture to go check it out! That's very sweet of you to Boo me. Thank you Rachel!